I planned my workouts a week in advance, and stuck to all of them, except one. My goal was to achieve 50 WW points of exercise. I hit 40. I ended up working late one night that I planned to go to the gym, and made it to tennis late about fifteen minutes late another night. Had I successfully made it on time, and made it to the gym the other night, I would have made my goal. I plan to keep this goal as a target for the next several weeks. I made it through a couple of days of major cravings without giving in. I chose a light snack instead. I consider this a major win, because snacking mindlessly is an issue for me. I lost .8 pounds, for a two-week total of 3.1 pounds. It’s the right direction, and I’m satisfied and encouraged to continue my efforts. As I mentioned in my previous post, figuring out how to maintain control while I’m dining out or socializing proved to be my challenge of the week. It will be tested again this week, with a Valentine’s Day cooking class with Mr. Sweetcakes, and some skiing/snowshoeing festivities this weekend. A bonus – several friends at work are also focusing on eating better, so there’s helpful camaraderie in the air. 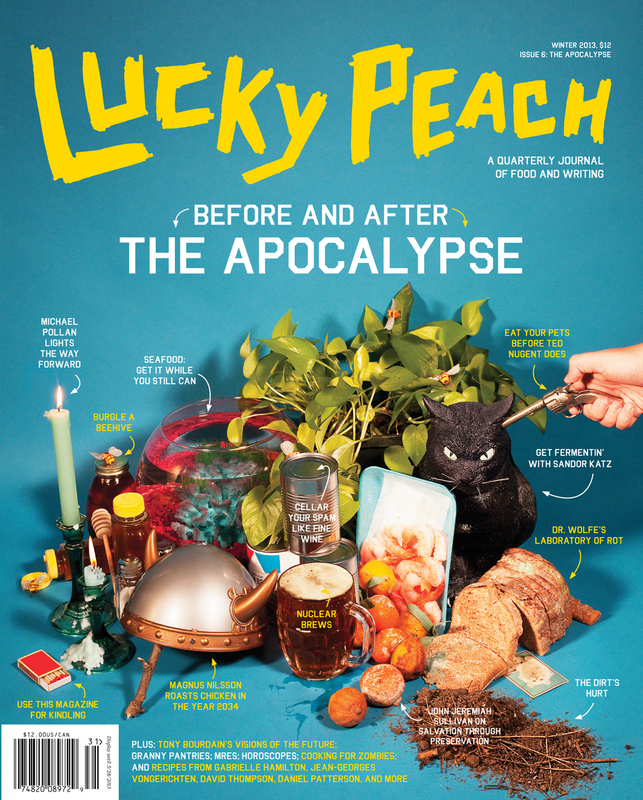 And, as a parting thought, our first issue of Lucky Peach arrived in the mail - a lovely foody magazine from the great minds at McSweeney's. Do induge.